With technology development, the Internet enables creating boundless communities, the fact that has changed many companies’ business vision. A lot of companies that gather and support communities are now at the top, by their capitalization, income, and influence. On the other hand, companies that have been focusing mainly on territory are gradually losing their power. The emergence of cryptocurrencies has been followed by the formation of the ICO concept which now has a lot of names, though its essence remains the same. It contributes to the development of the cryptocommunity and provides an opportunity for boundless investment. It means that any company can, avoiding any banks, tying cards, communication with third parties or other compulsory elements of the conventional crowdfunding system, receive investments through the Community, as any token is by its nature backed by the Community. Without the Community, the cost of a token as a digital asset is equal to zero. A token integrated into a Community, as per its members’ expectations, will be in demand with the actual implementation of the project and will be actively utilized according to the capabilities specified when an ICO is launched, thus completing its entire circulation cycle. The closeness of the process is the key element of successful business tokenization. Appropriate ICO procedures provide some very important components for a successful start of any business or its particular line because it results in a Community of participants supporting a project put together through marketing and advertising, a formed financial interaction system based on token economics, an elaborate incentive system and manifoldly verified mechanics of business processes. Contemporary Capabilities of Tokens Related to Business Tokenization. Firstly, it is a powerful financial tool. Secondly, it is a tool designed to control participants’ and investors’ behavior. Different purposes and applications of tokens, as well as an established reward system specified in the project WhitePaper are able to encourage most Community participants to take certain actions and to drive them to achieving the common goal. Thirdly, as analysis and practice have shown, not only business models but also separate business processes can be subject to tokenization which allows introducing an additional financial component into them. The cost of a token, as well as that of any other asset, is determined in a deal only. If a token is not traded on the exchange and cannot be used in transactions with certain liquidity, we cannot speak of its cost. Any efficiently operating system has to be closed, i.e. there should be people motivated to buy and sell the asset. When the balance is disrupted, the cost of the token plunges. If a project has not set up an incentive and reward system for token holders and the token offered can only be sold without loss, it means that the token does not have any uniqueness or value. Holders of such tokens will get rid of them at the earliest possible opportunity and use them for speculative purposes only. If the token economy does not meet the reality demands associated with the project. This is most often the case in projects which are not suitable for tokenization at all. Closeness and natural token circulation. Participants should be able and willing to exchange tokens. Without circulation, which is a must for any efficient financial model, success cannot be attained. It is the attraction of investing in a token and subsequent possibilities of its use that give confidence in a further increase in the token cost, for example, due to the Community development, growth of the financial circulation, market reach, etc. Token closeness to any process characteristic of the project scale will cause gradual increase in its rate and boost investors’ trust. Proper Integration into Business Processes and Real Additional Value of the Token Use. Tokens which do not provide any additional value for their holders will never become popular. The TokenGo consensus utilizes the customized modified DPoP (Delegated Proof of Power) algorithm which is based on DPoS/PoW hybrid algorithm. Its specific features include the use of a special GoPower token, which is the basis for determining the GoCoin minting priority. The more GoPower a Delegate/ Miner owns, the more GoCoins he or she can receive during distribution. Up to 90% of all produced GoCoins will be distributed among GoPower token holders. Therefore, the main driver of the token cost growth is the possibility of participating in GoCoin production. GoPower has paramount importance when distributing GoCoins (GOC) — TokenGo’s in-house cryptocurrency. 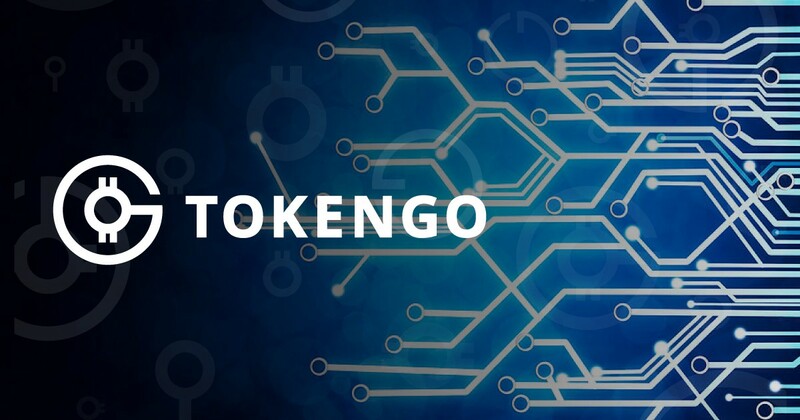 Thus, under otherwise equal conditions, the more GPT a participant of TokenGo has on the account when remunerations are accrued, the more coins he or she will receive to the account as a result of distributing the total amount of GOC produced by minting. GoPower provides Voting Power which is 10 times higher than that of GoCoin for earning income from voting. The Voting Power is directly dependent on whether a participant has GoPower and GoCoin. Thus, the higher the Power value, the higher the TokenGo Voting Power this particular participant has when voting.